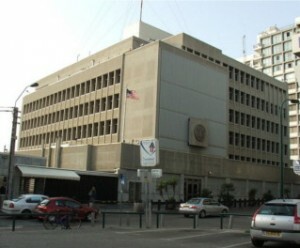 Alarmed by reports that the Trump Administration is considering immediate action to move the US Israel embassy from Tel Aviv to Jerusalem, Americans for Peace Now is calling on President Trump to eschew this dangerous action. 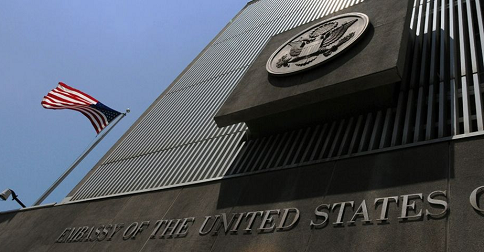 In the past few days, Vice President Mike Pence said that Trump is "actively considering" how to move the US embassy to Jerusalem, and senior Israeli officials were quoted as saying that they expect the move to be announced imminently. Tomorrow is the deadline by which the President must issue a national security waiver to a 1995 law that required the embassy's transfer. Every six months since then, four consecutive presidents -- Democratic and Republican (including Trump himself) -- have signed such waivers. As the Trump Administration is reportedly preparing to launch its Israeli-Palestinian peace plan, this dramatic change in the status quo is almost certain to derail peace efforts and trigger violence. Jerusalem should indeed be recognized as Israel's capital, but only in the context of a peace agreement between Israel and the Palestinians. Unilateral American recognition of Jerusalem as Israel's capital, before Israeli Jerusalem has been defined in bilateral negotiations, would pre-judge the outcome of peace talks. As popular as this action may be among some Israelis and their right-wing American supporters, it will justifiably infuriate Palestinians, who view East Jerusalem as their future capital, and who see themselves as the guardians of Jerusalem's Muslim holy sites. Because Jerusalem is a holy city for Muslims worldwide, repercussions will likely reach beyond Israel and the Occupied Territories, raising the specter of bloodshed in the region and beyond. Changing the status quo in Jerusalem is playing with fire. If Trump cannot muster the judgment and discipline to resist pyromaniacal urges and push back against those who would be only too happy for an opportunity to blow up a peace process before it begins, we can only hope that someone in the White House will hold him back.